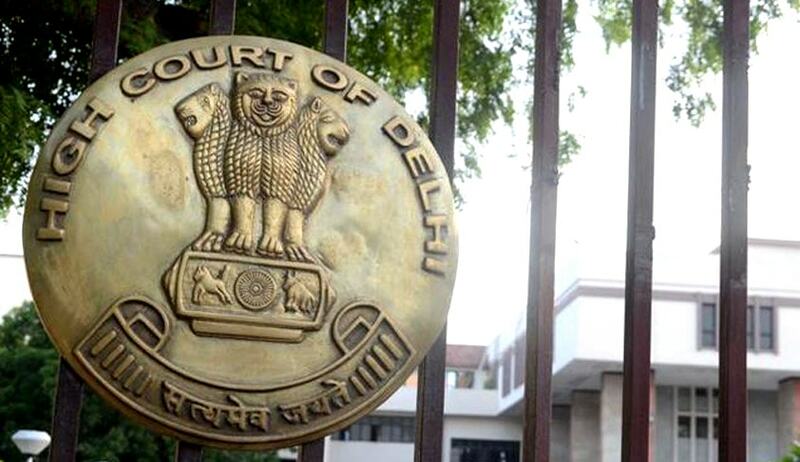 A division Bench of Delhi High Court Today held that Registrar of Cooperative Societies is a 'Public Authority' and hence duty bound to comply with the provisions of RTI Act and is required to provide information as provided for under Section 2(f) of the Act subject to the limitations enumerated under Section 8 of the RTI Act. The Bench comprising of Justices S. Ravindra Bhat and Deepa Sharma reversed a decision of Central information Commission in which it is held that the Cooperative Societies Act being a special Act took precedence over the RTI Act (which is a general Act) especially when the special Act itself provided to a bona-fide member of a Cooperative Society identical relief as provided under the RTI Act’. Facts; The petitioner has been a member of the Sangha Mitra CGH Society since 1995. She had sought information from the SPIO regarding documents and accounts pertaining to the Society as well as minutes of the general body meeting of the Society. She had also sought information regarding charges payable to the DDA. Despite communication by the SPIO to the Society the latter gave no replies. The petitioner, then, approached the First Appellate Authority who, directed the SPIO to procure information sought by the petitioner from the Society and further supply it to the petitioner. It was also directed that in case of failure on the part of the Society to furnish information sought from it, suitable action would be initiated against it in terms of provisions of Section 139 of the DCS Act. Subsequently, the Society granted liberty to the petitioner to approach its office and inspect the records. As for the information sought by her regarding charges payable to the DDA, the SPIO sent a letter, dated 09.01.2008 to the Society, which it subsequently replied to. In their reply the Society stated that the information sought by the petitioner was voluminous and that the petitioner was required to be specific as to the information sought by her. It also stated that once the petitioner deposited the amount towards photocopying the documents they would be able to provide her with the information. However, in the intervening period of 20.12.2007 and 01.04.2008, the petitioner filed an appeal under Section 19 of the RTI Act, 2005, before the CIC on 15.02.2008. “These appeals are clearly not maintainable because the Cooperative Societies are not public authorities to whom the RTI Act directly applies. The information held by such Societies is to be indirectly accessed under Section 2(f) of the RTI Act through a public authority, i.e. the Registrar of Cooperative Societies, who under the Delhi Cooperative Societies Act is competent to access information held by the Cooperative Societies”. The High Court held that on comparison of Section 2(f) of the RTI Act and Section 139 of the Delhi Cooperative Societies Act, it is clear that the object of both is to provide information to an applicant. Some information can also be sought from a public authority under the RTI Act. The Society in question is a private body and not a public authority as defined under the RTI Act and is not obliged to furnish information. In this case it is the REGISTRAR who is a public authority as per Section 2(h) of the RTI Act as well as for the purpose of Section 2(f) would be the public authority from whom information could be accessed with respect to Cooperative Societies. According to High Court as a public authority the Registrar is also duty bound to comply with the provisions of the RTI Act and is required to provide information as provided for under Section 2(f) of the Act subject to the limitations enumerated under Section 8 of the RTI Act. Then the Bench examined the scope of Section 22 of the RTI Act and its applicability to the provisions of Section 139 of the DCS, Act. Justice Bhat who wrote the Judgment held that Section 22 of RTI Act declares all laws, bye-laws, rules etc. which are inconsistent with the provisions of the RTI Act shall be overridden by its provisions. Finally the Court opined that. The Court finally directed that the applications of the Petitioner shall be considered by the Registrar, to the extent the information is available with his office. It is also ordered that in regard to the information not available, the Registrar shall indicate clearly what material does not exist, in an order.